Caroline Shea is a property litigation specialist with experience in a wide range of landlord and tenant and real property disputes. She has been ranked as a leading junior in both Chambers and Partners and the Legal 500 since her second year of practice and now is placed in the top band of leading juniors by Chambers and Partners. Caroline has practiced since 1995 as an advisor and advocate, appearing in the Court of Appeal, the High Court and County Courts, and in specialist property tribunals. She has acted as a legal assessor to arbitrators, and appeared in many arbitrations both commercial and agricultural. 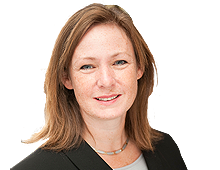 She qualified as a Fellow of the Chartered Institute of Arbitrators in 2014.Caroline appointed QC in 2016.